Notes: "A wee bit of heaven drifted down from above, a hand full of happiness, a heart full of love" on the inside, mailing envelopes included. 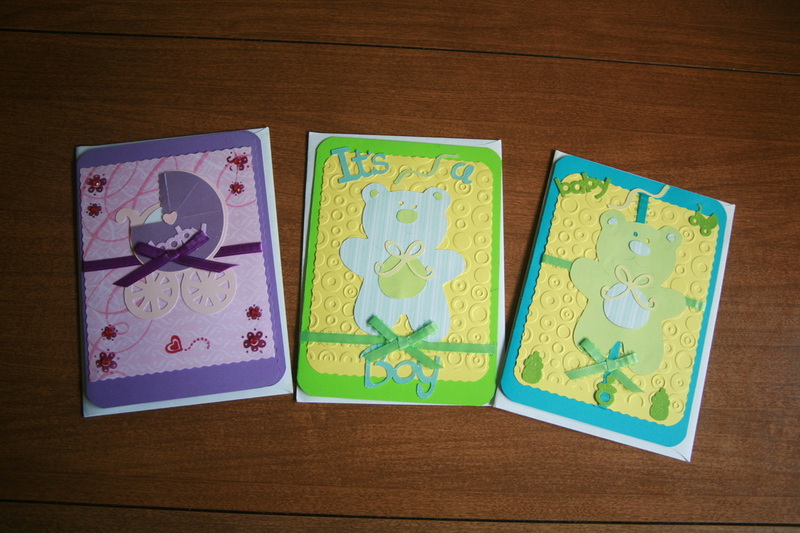 Notes: "With every little baby's birth God sends His love and joy to earth" on the inside of each card, mailing envelope included. 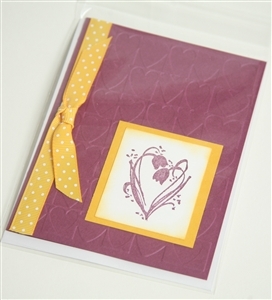 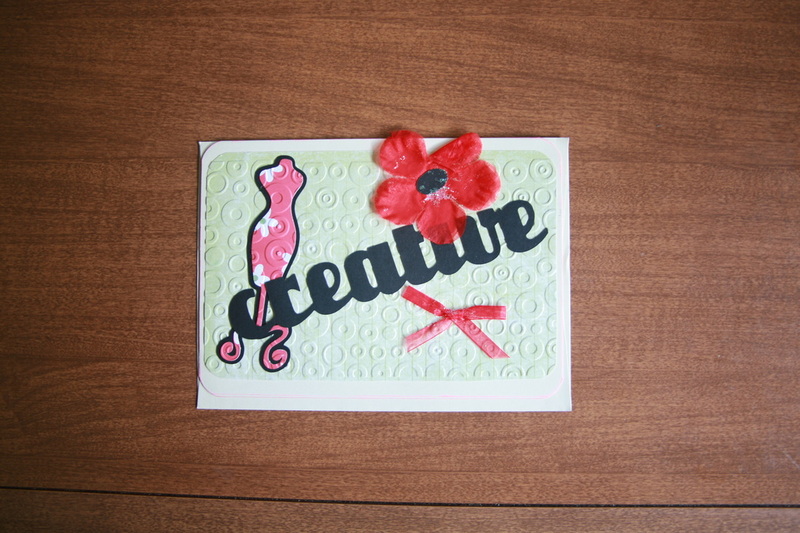 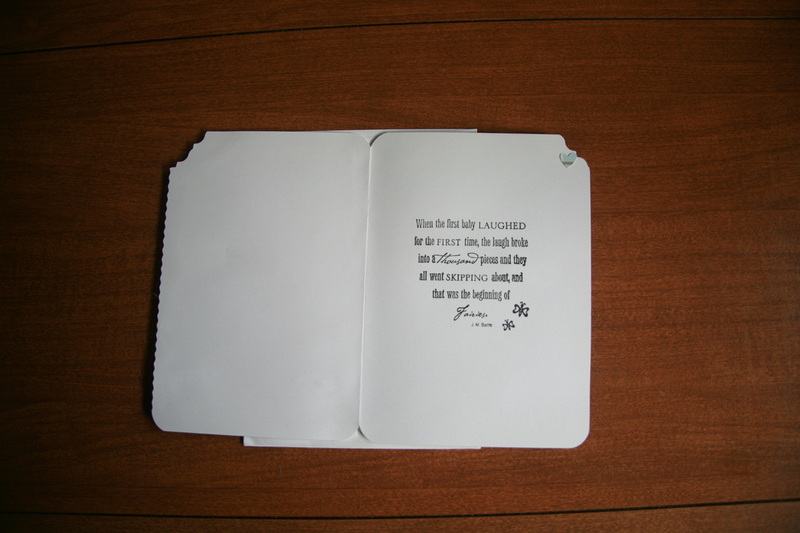 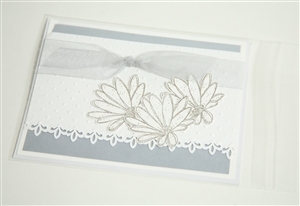 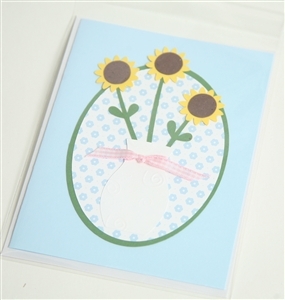 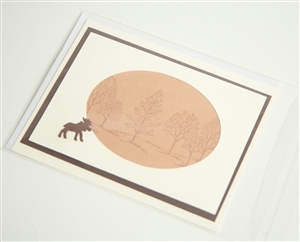 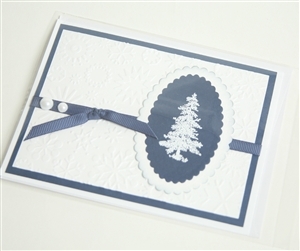 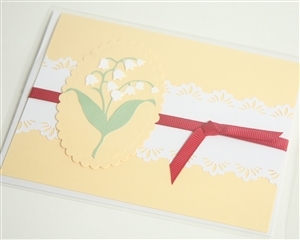 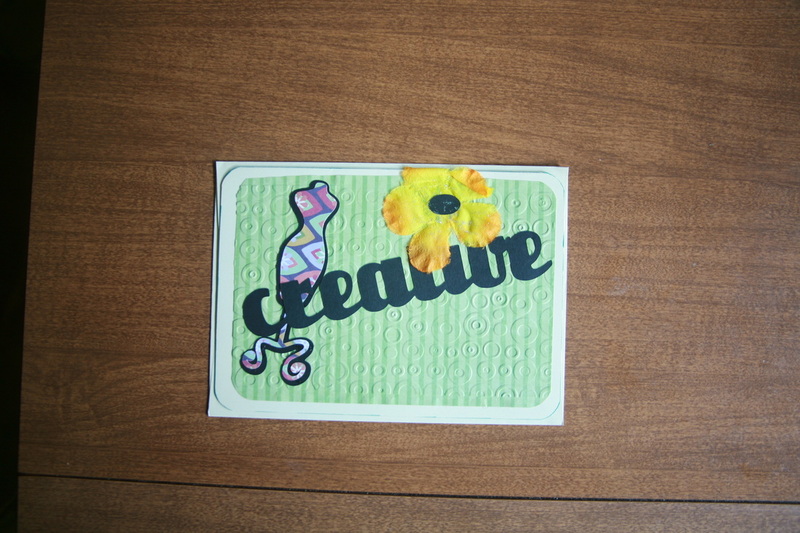 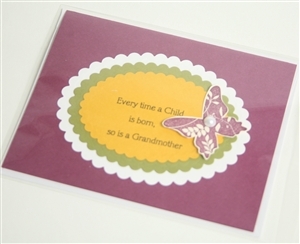 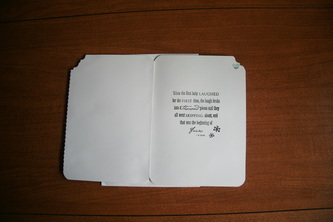 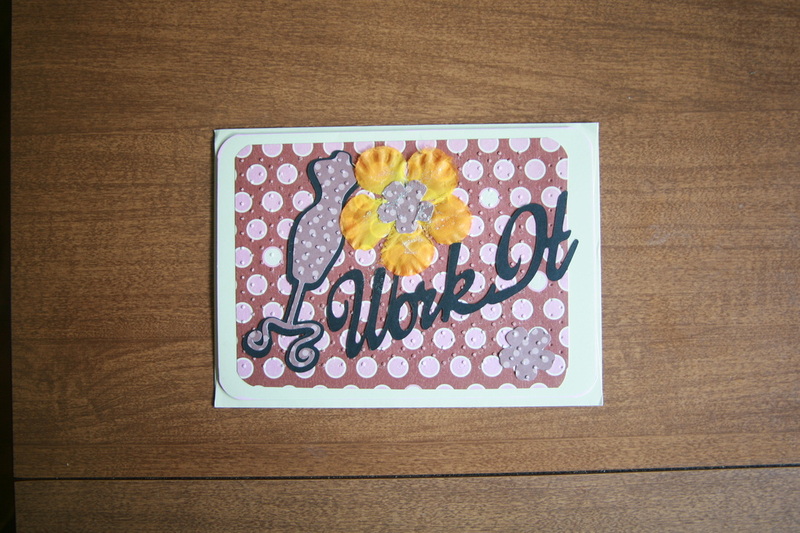 Notes: Blank inside, mailing envelope and clear envelope included. Notes: " When the first baby laughed for the first time, the laugh broke into a thousand pieces and they all went skipping about, and that was the beginning of Fairies" on the inside, mailing envelope included. 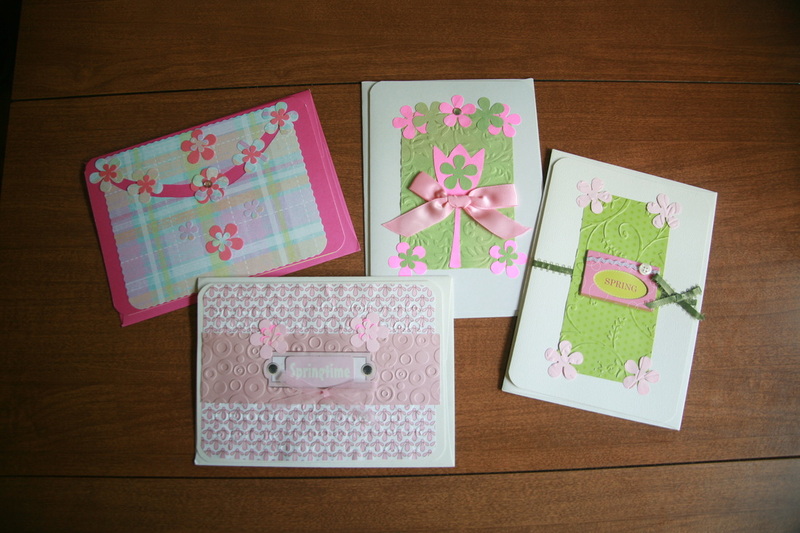 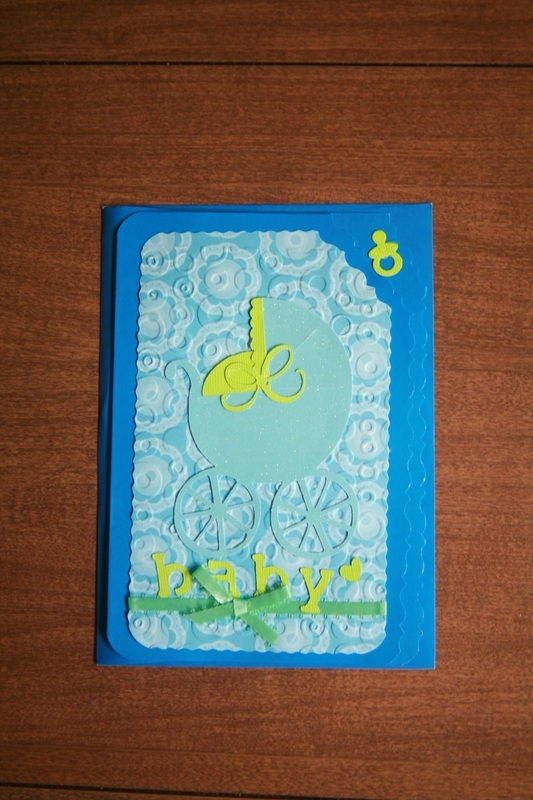 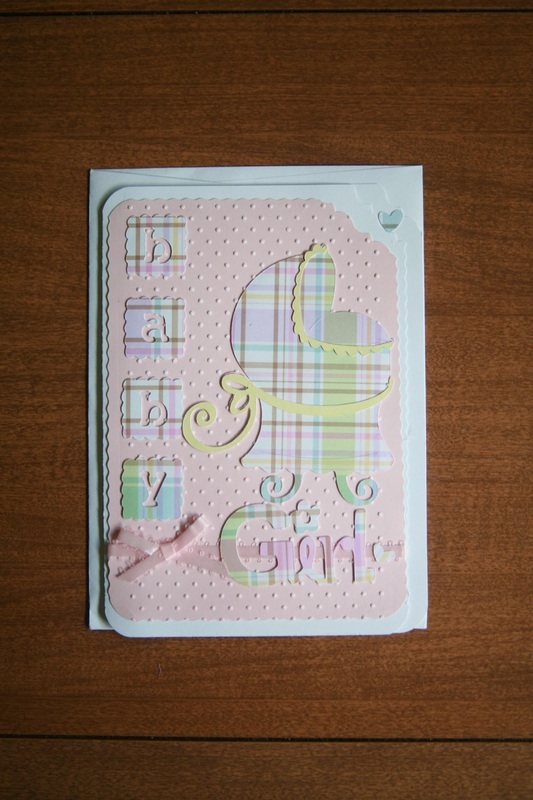 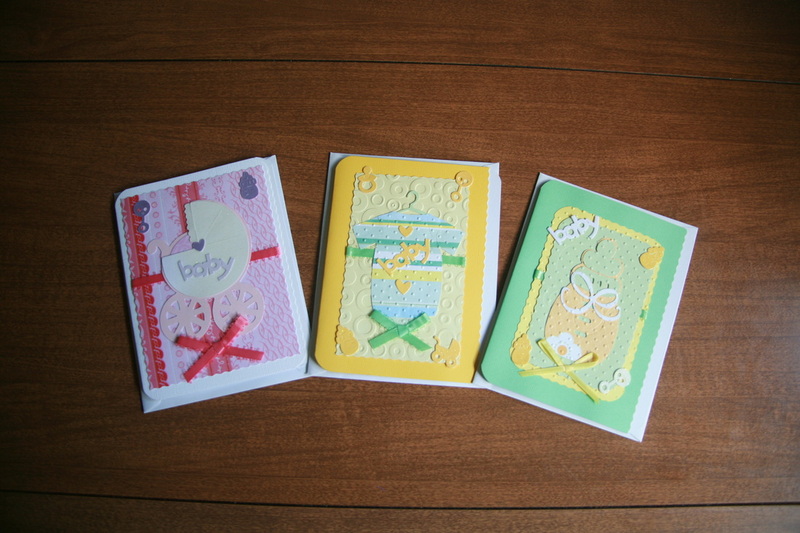 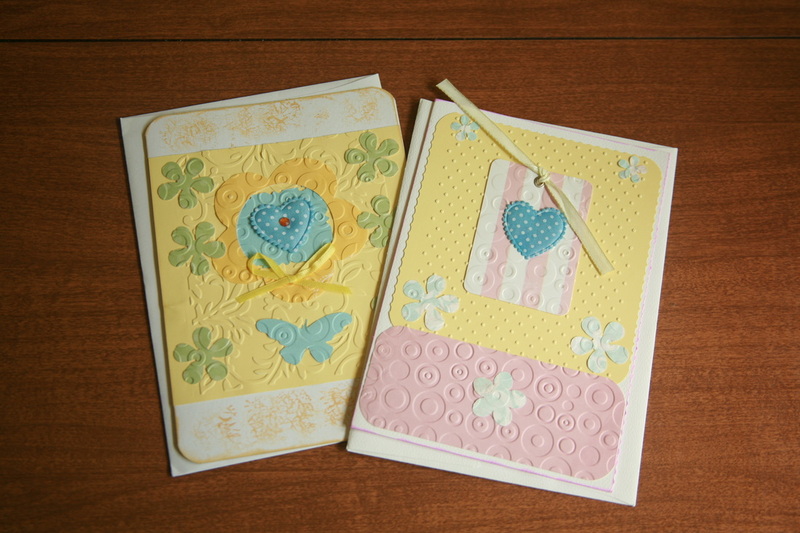 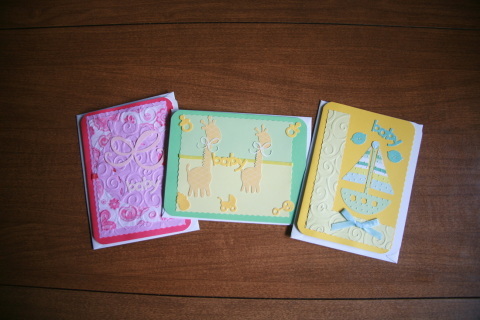 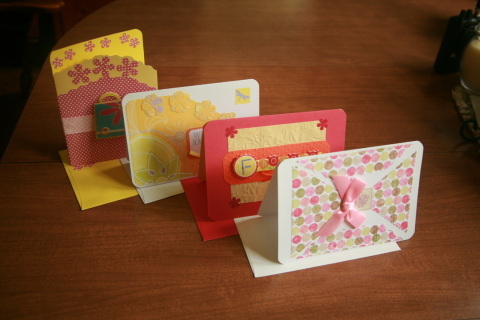 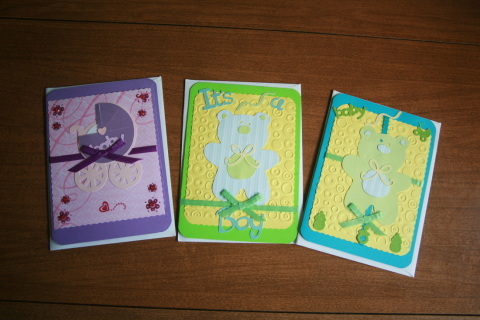 Notes: "Cutie Pie" and "With every little baby's birth God sends His love and joy to earth" on the inside of each card, mailing envelope included. 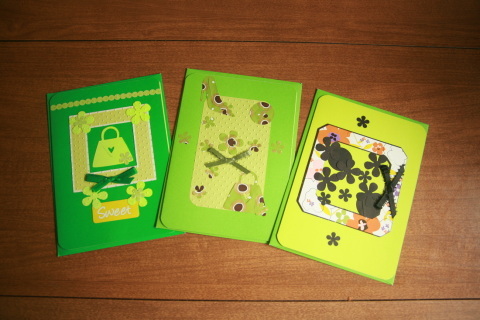 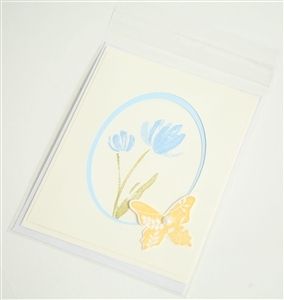 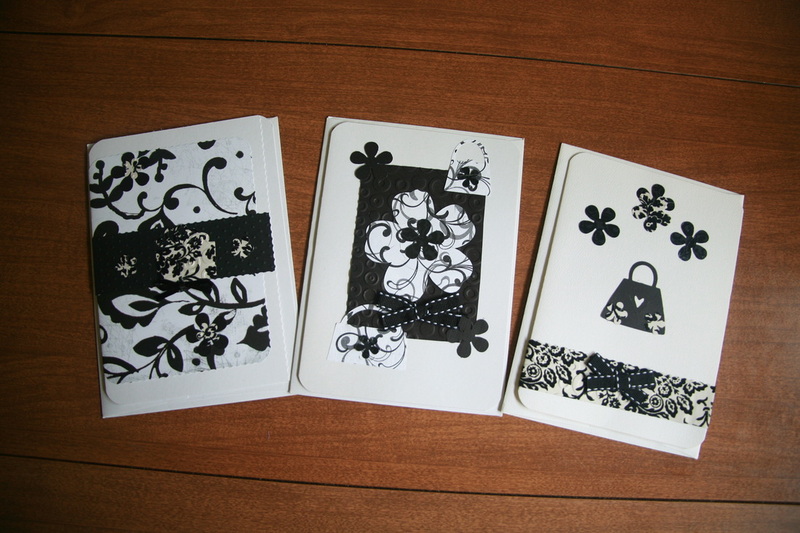 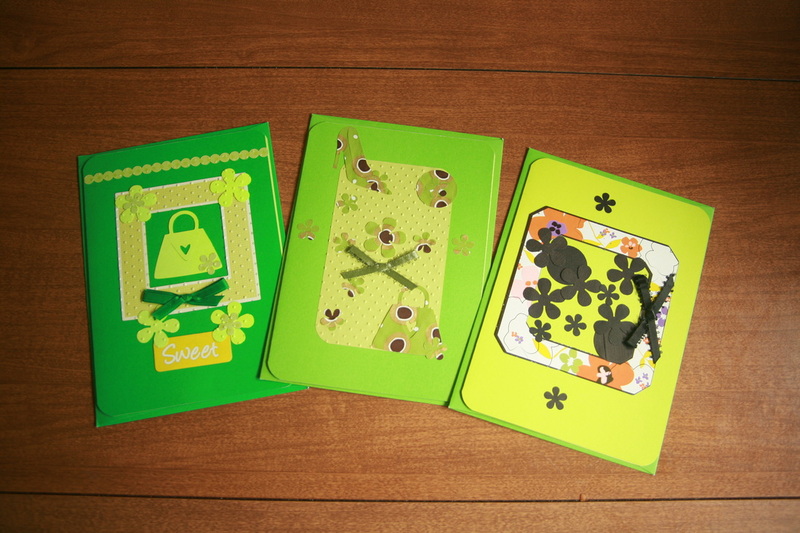 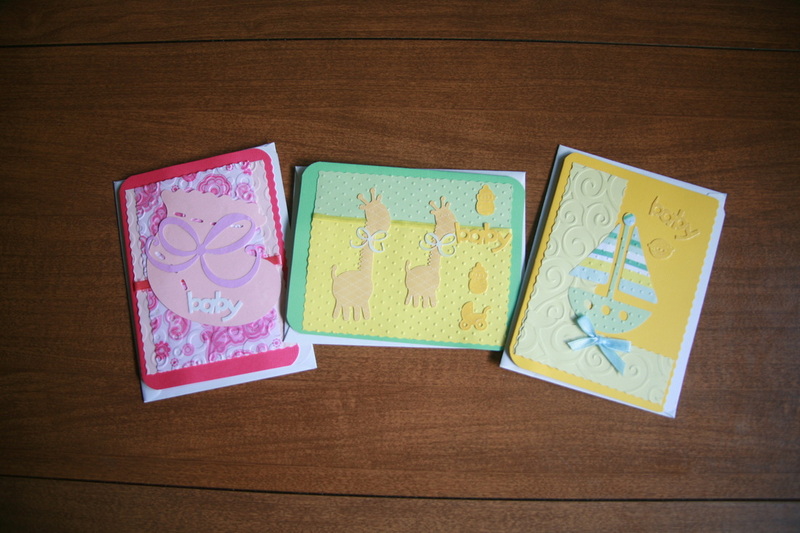 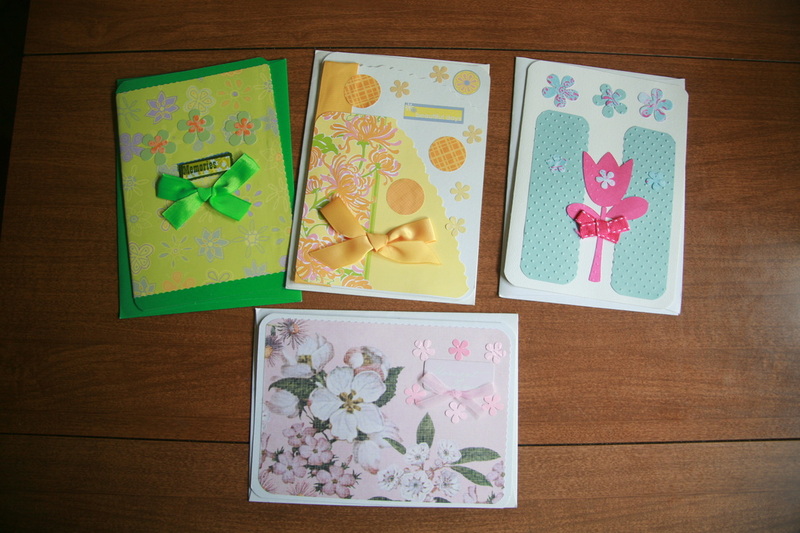 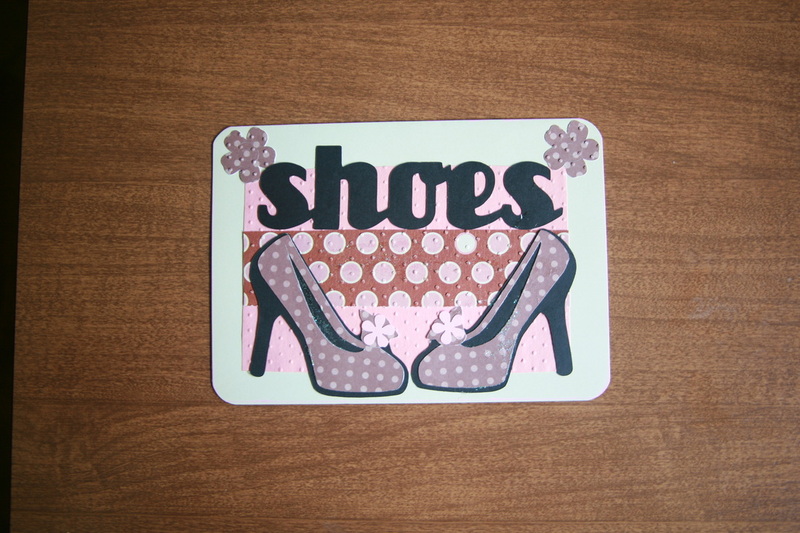 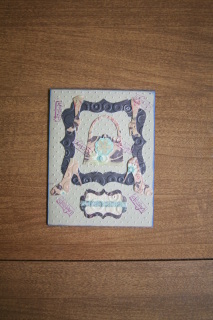 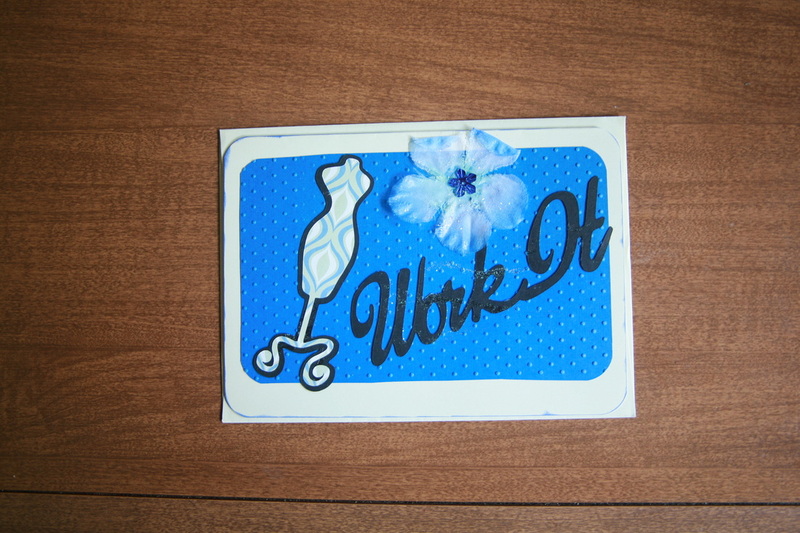 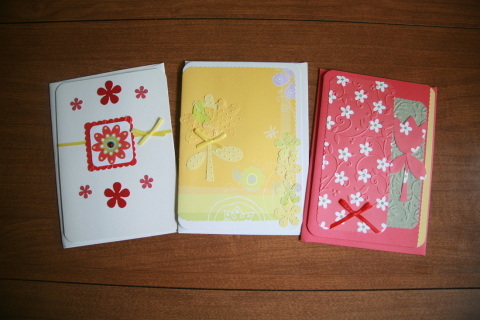 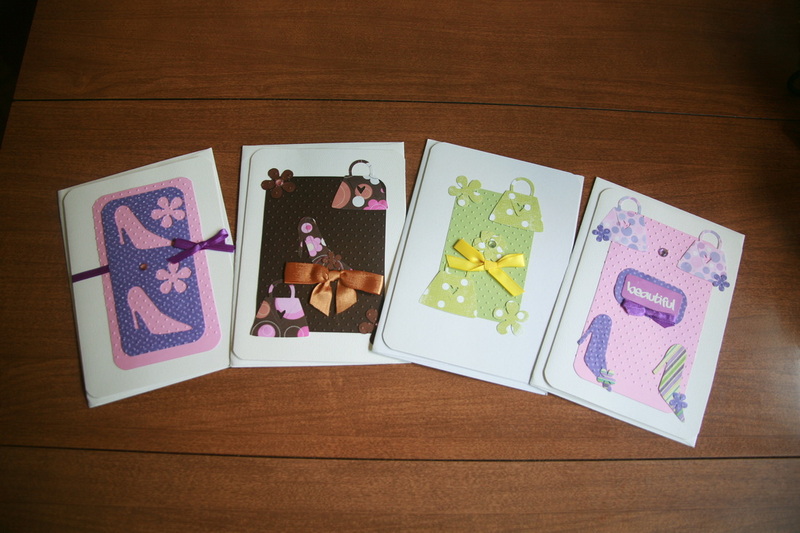 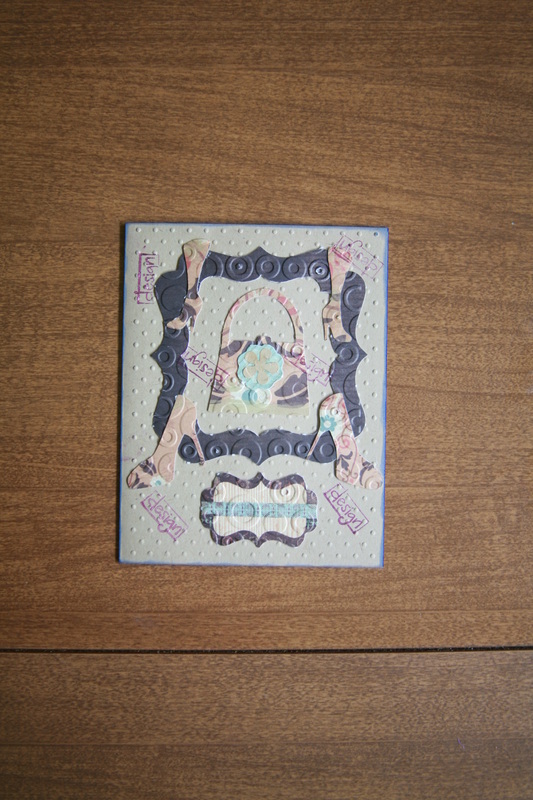 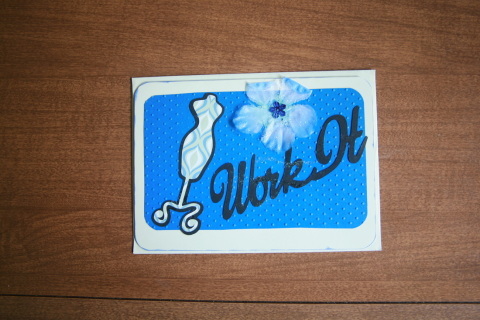 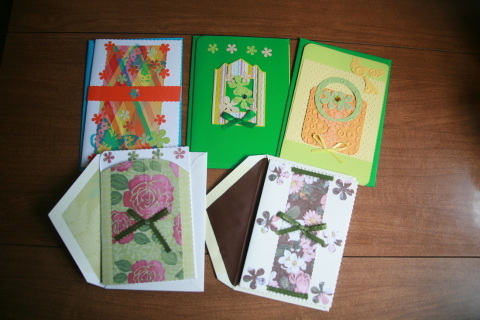 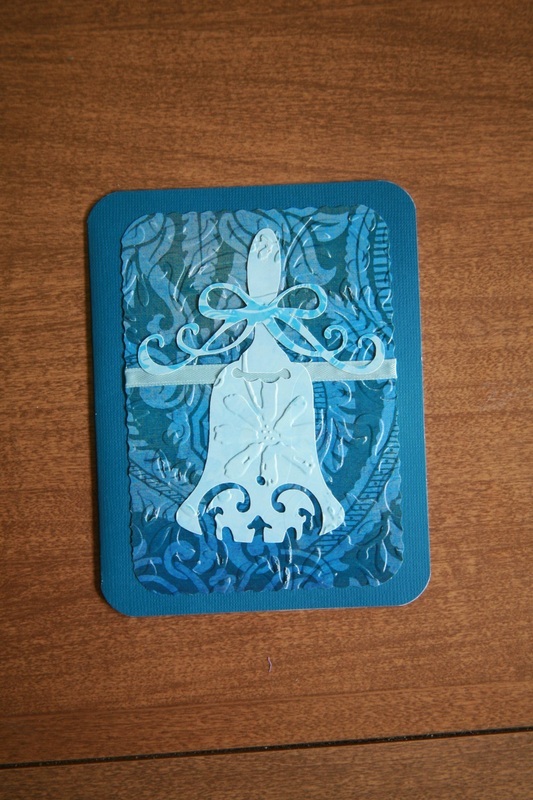 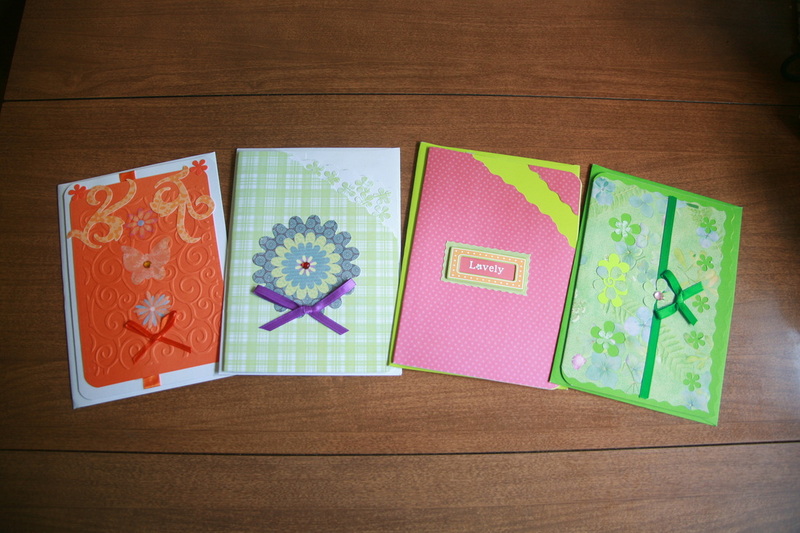 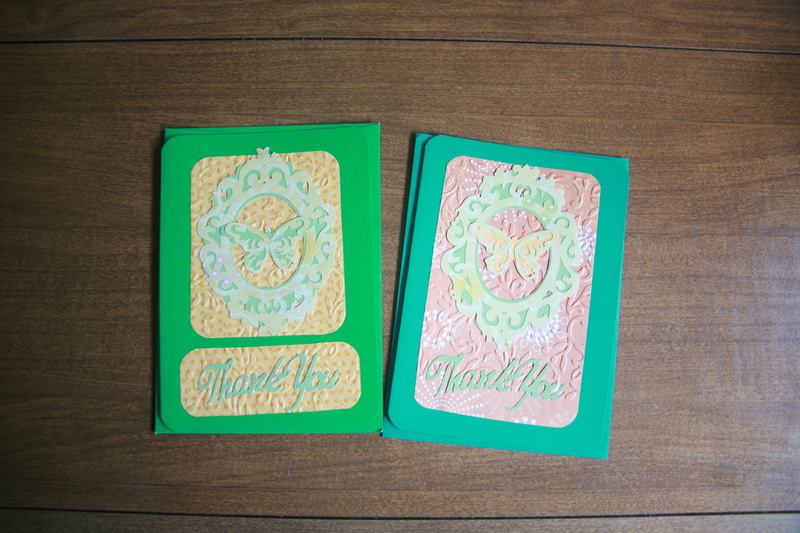 Size: 2 are 6 1/4" x 5 1/2" & 3 are 5" x 7"
Notes: "Get well soon" on the inside, mailing envelope included. 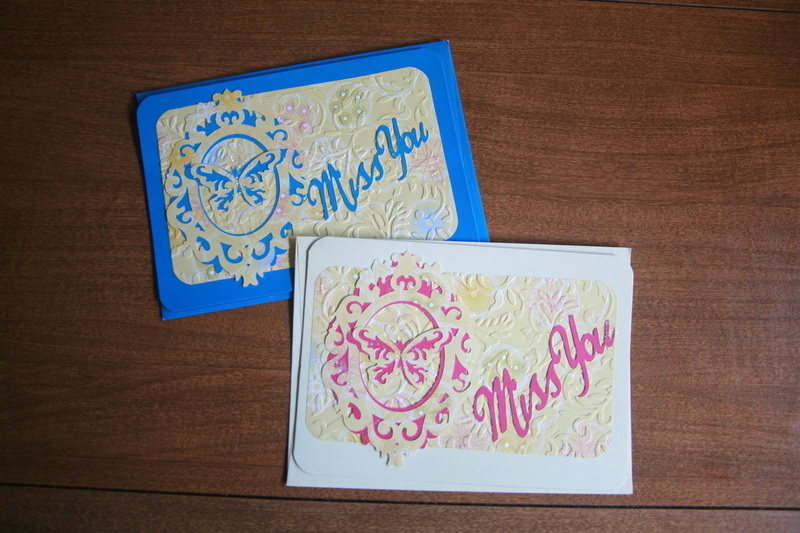 Notes: "Wish you were here" on the inside, mailing envelope included. 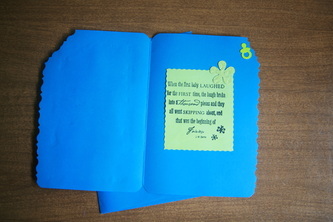 Notes: "We do not remember days, we remember moments" on the inside, mailing envelope included. 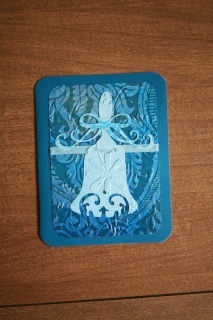 Notes: Blank inside, mailing envelope included. 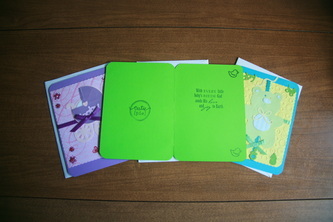 2nd card back says "Flowers" on the front and the 3rd card back says "With Love" on the front. 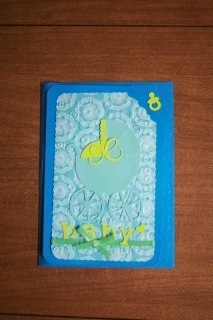 Notes: Blank inside, mailing envelope included.